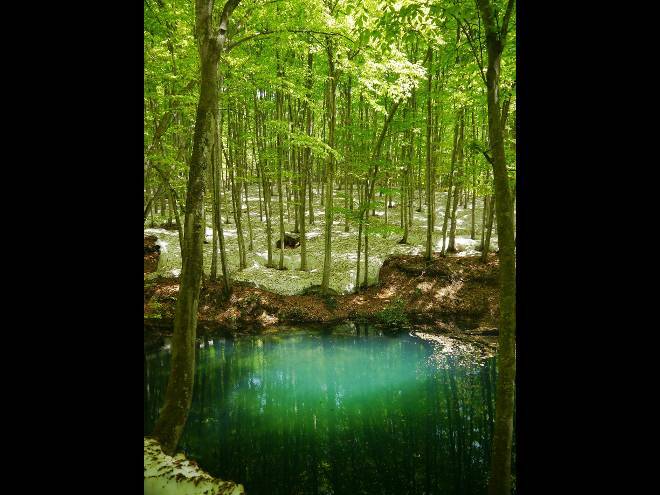 This beech forest takes its name from the beautiful shape of its trees, which are approximately 90 years old. It is perfectly suited for strolling or birdwatching, and is also popular for walks in the snow. 45 minutes by train from Echigo-Yuzawa Station to Hoku-Hoku Line Matsudai Station, and 18 minutes by bus from Matsudai Station(TM20) to Sakaimatsu(TM30). About 20 minutes walk from there.